If you are looking to close your limited company, you may be torn between whether to liquidate your company or apply for company strike off. There are pros and cons to each approach, however, an often overlooked benefit of formal liquidation is the potential to claim director redundancy as part of the process. 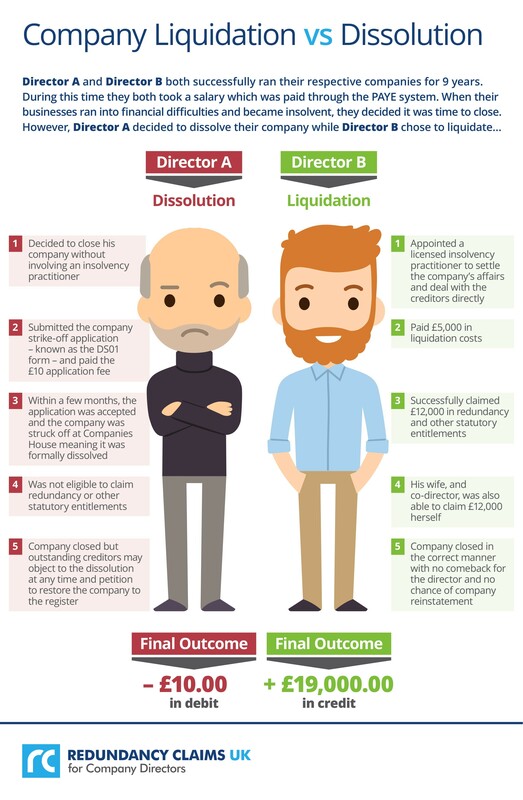 The following infographic illustrates how the decision to dissolve or liquidate can have a huge financial impact. Can I claim redundancy in compulsory liquidation? Can I wind up my business without appointing a liquidator? How much does voluntary liquidation cost? I want to liquidate my company – are my staff eligible for redundancy? 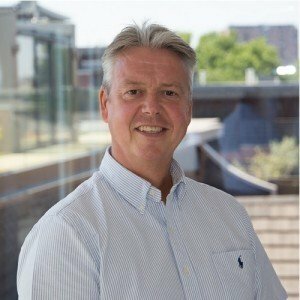 If directors voluntarily liquidate their company can they claim redundancy? What does liquidation mean for company directors? What happens to the VAT if I liquidate my company? What is the difference between liquidation and dissolution? What’s the difference between liquidation and ceased trading?